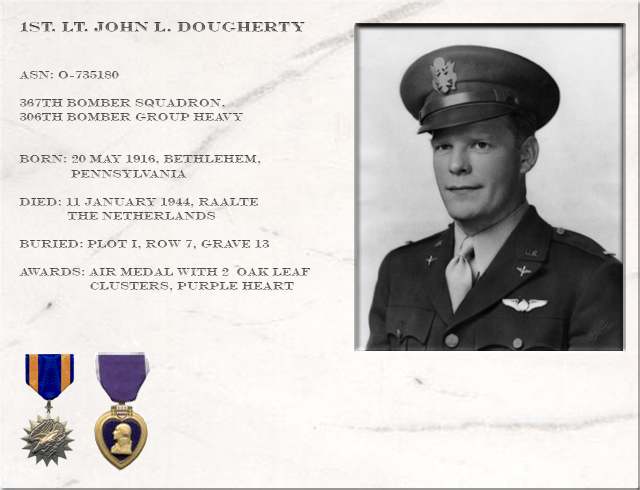 John Leo Dougherty was born on May 20, 1916 in Bethlehem, Pennsylvania. His parents, Rose Kelly and Harry Dougherty were the children of Irish immigrants who had come to Pennsylvania to work in the Bethlehem Steel Mill. in November, 1921 when Jack was five years old. His mother Rose took in boarders in order to support her family. After graduating from Bethlehem Catholic High School in 1934, Jack enrolled in St. John’s Home Missionary Seminary in Little Rock, Arkansas in order to become a Roman Catholic priest. 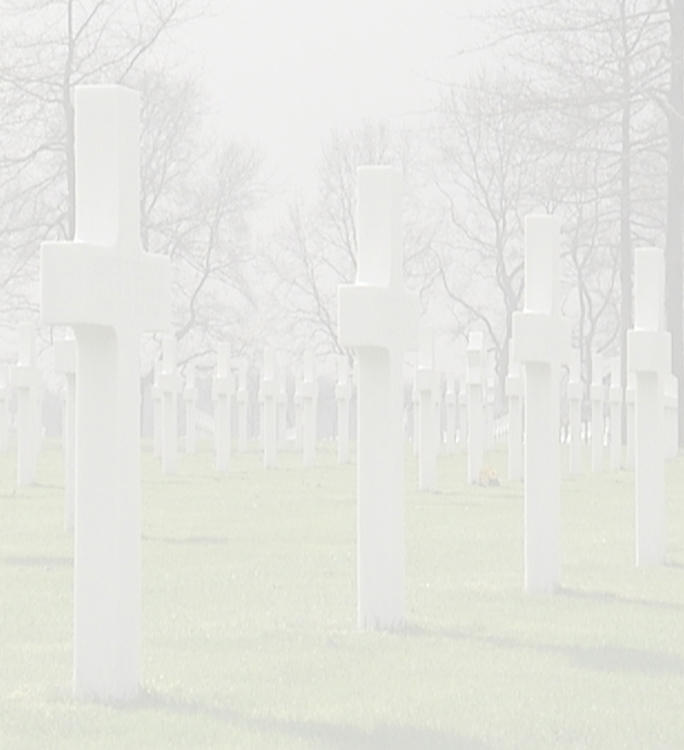 Illness forced him to return home to Bethlehem after 3 semesters in the seminary. 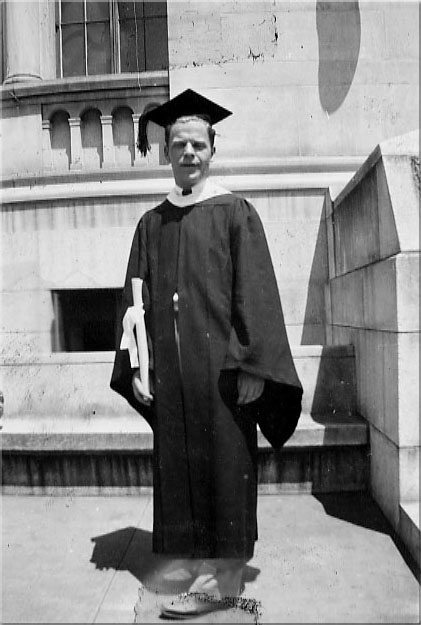 In 1937 he enrolled in the Catholic University of America in an area of northeast Washington, DC known as Brookland. 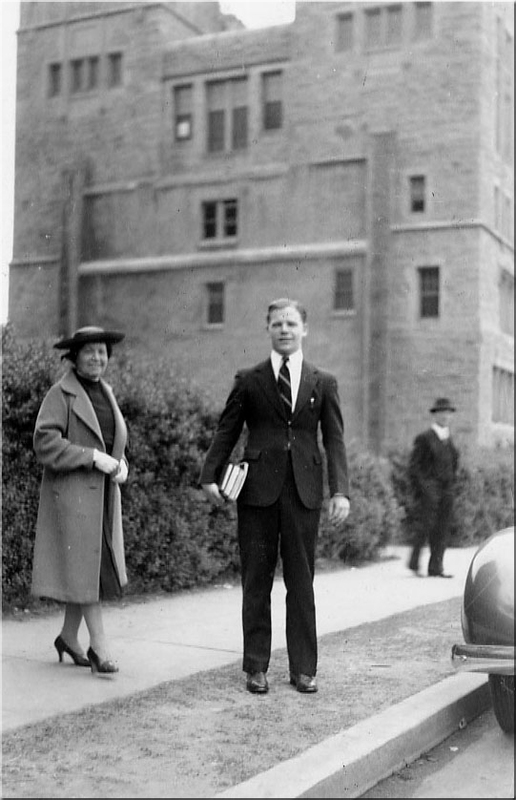 Jack Dougherty with his Aunt Julia Kelly at Catholic University, Washington, D.C.
Several blocks from school, at 1014 Monroe Street, lived a large Irish family headed by a widow, Josephine Byrnes. 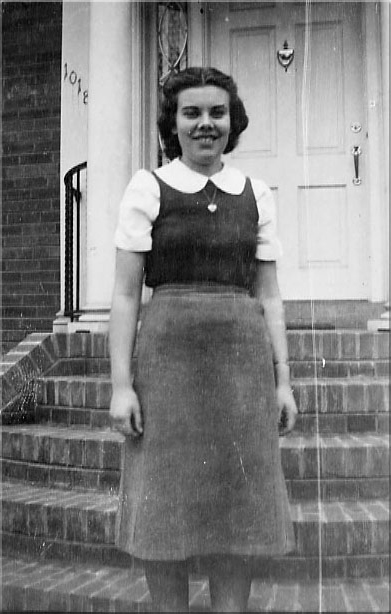 Her home was a favorite boarding house for the Catholic University students since one of the dormitories on campus had closed for renovation. Like Rose Dougherty, Josephine took in boarders to support her seven children. It was to this home that Jack Dougherty came one day searching for a room to rent. 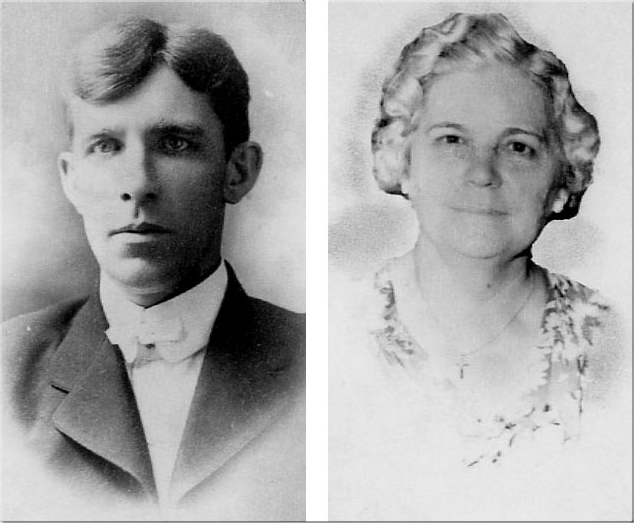 Besides a place to live while at school, the Byrnes house provided Jack with family companionship in an Irish community very similar to his own in Pennsylvania. Best of all, while Josephine had six sons, she had one very pretty daughter named Nora… life was good! During his time at Catholic University, in addition to the basic academic requirements, Jack studied German and philosophy, played a good game of golf and sang in the glee club. He graduated from Catholic University on June 26, 1941 with a Bachelor of Arts degree with a specialization in education. Nora, in the meantime, had graduated from St. Anthony High School and was attending Medical Technology classes at Georgetown University while working in the office of her Monroe Street neighbor, Dr. John A. Simpson. 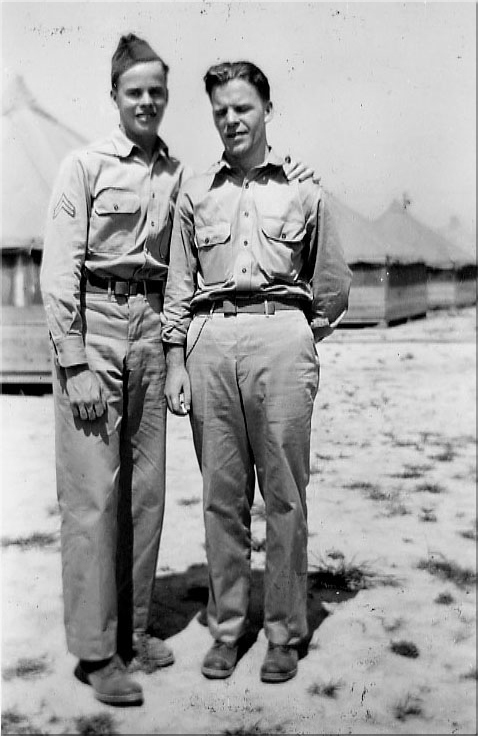 In August 7, 1941 Jack was inducted into the Army in Richmond, Virginia. The majority of his records were destroyed in the fire in a St. Louis, Missouri U.S. Government warehouse. Those that remain show him as a PFC in the Army Quarter Master Corps, Headquarters, 1307 Services Unit, Camp Lee, Virginia for a portion of his early training. 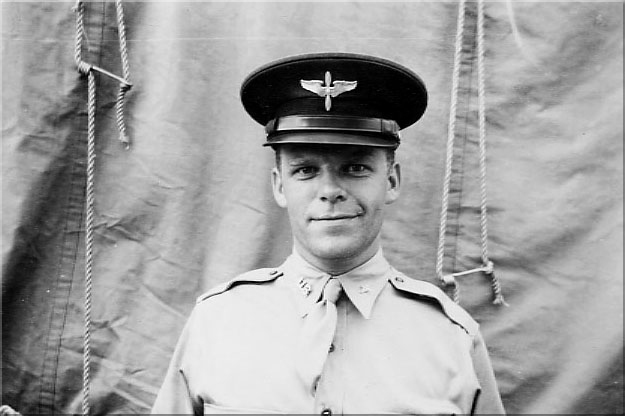 He was transferred to Aviation Cadet training on January 2, 1942 with the Army Air Force to Maxwell Field near Montgomery, Alabama. At the time this base was home to six different schools that trained U.S. military aviators and their support teams for wartime service. 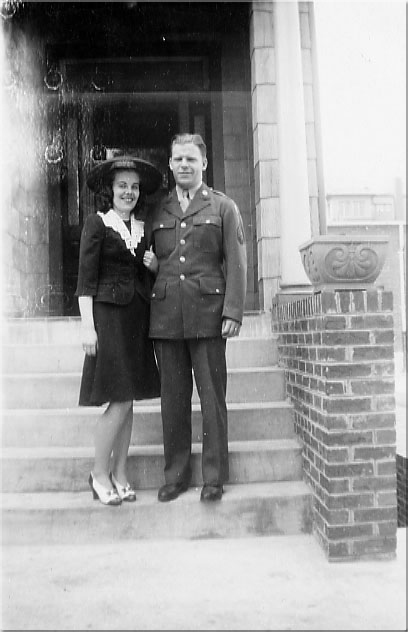 Sometime between September 1937 and June 1941, Jack and Nora fell in love. 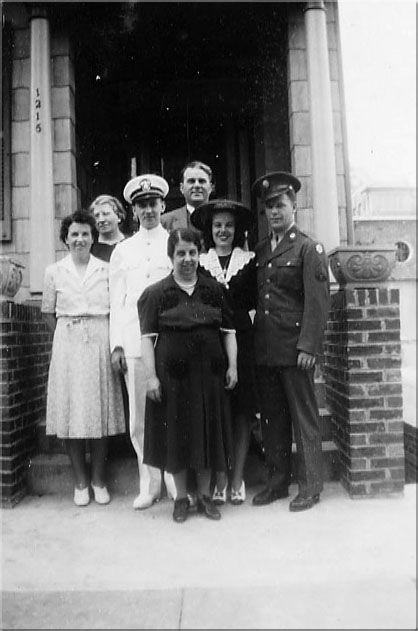 They were married by Jack’s brother James at Immaculate Conception Church in Washington, D.C. on May 2, 1942. 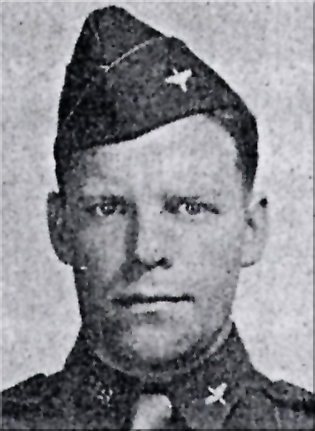 At the time, Jack was on leave and had attained the rank of Sergeant in the US Army. Schooled as a bombardier at Williams Field in Chandler, Arizona from November 2, 1942 until December 31, 1942, Jack graduated with the WC 43-1 Class on January 2, 1943.